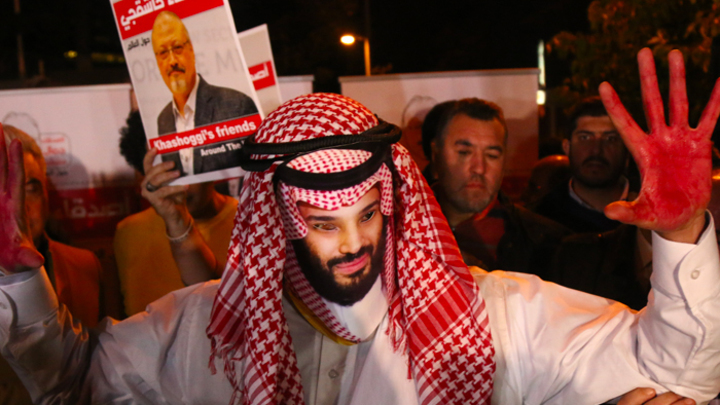 Home » The Khashoggi Murder: Is Britain Punishing Bin Salman For Friendship With Russia? The murder of Saudi journalist Jamal Khashoggi at the consulate in Istanbul has launched a political process, undermining the authority of the current government of Saudi Arabia. Through the media, American intelligence has made it clear that "it does not exclude" involvement in the murder of Crown Prince Mohammed bin Salman. The Americans made such a conclusion from the audio recordings of torture that the Turkish intelligence recently transferred to the EU and the USA. Turkish special services themselves call audio recordings “the most serious evidence” of the Crown Prince’s guilt. The Saudi authorities are in a difficult position and are forced not only to admit the fact of the killing of Khashoggi, but also to punish the perpetrators. Today, the Saudi Arabian Prosecutor’s Office has demanded the death penalty for 5 of the 11 accused in the murder of journalist Jamal Khashoggi. Total arrested 21 people. But the lack of clear data and the secret in which Turkey, Britain and the United States are holding the tragedy in the consulate give one thought - what if it was a special operation to remove the crown prince? Even before the investigation began, there were hints that the royal family of Saudi Arabia was behind the murder of an opposition journalist. This version was actively disseminated by CNN, and especially by the British media, including the BBC. The Western reader was not left with another version, except that the customer was Mohammed bin Salman. Analogies with the "Skripal case" are obvious. Why would Vladimir Putin clean up the former Agent on the eve of the presidential election and the 2018 World Cup, knowing that they would be the first to think about him? The same situation is here. Why would Salman kill a man who in the pages of the Washington Post was critical of his policies? Even if it is assumed that the royal family committed such murders against unwanted persons, then it worked very clumsy, dirty. Khashoggi left his phone at home and took a smart watch with a recording function. It was happening in Istanbul and it was worth expecting that Turkish intelligence would listen to the diplomacy. Why should a crown prince risk and be substituted? This is not to say that Mohammed bin Salman is a stupid person. He is a very smart man, sly, looking to the future. He took the course to modernize the country, strengthen the economy, the financial system and declared a more open civil society. He worked long and hard on the progressive image of the new kingdom. There is one more thing: why did Turkey transfer the invoice and audio recordings to the Western media and the governments of the EU and the USA, but not to Russia? In order not to reveal the whole truth? Putting together all four factors — a powerful information campaign, the logic of bin Salman, the “clumsiness of the operation” and not the transfer of audio recordings to Russia — the following hypothesis arises: the death of Khashoggi might be a conspiracy. Saudi Arabia is a product of British politics in the Middle East after the First World War. And its new leader, Mohammed bin Salman, pursued a more independent line than his predecessor. And this independence worried London, including when it comes to Russian-Saudi relations. Bin Salman is more independent than the previous crown prince. And it has always bothered the UK and the USA. In particular, the concern was about how he would behave with Russia. Immediately after Mohammed bin Salman came to power, the King of Saudi Arabia came to Russia on his first historical visit. And this is the great merit of the crown prince. The king and his son gave a clear signal that relations with Russia will not develop as they did with their predecessors. Thus, it is possible that the Khashoggi Case may be a kind of “Salisbury-2”, behind which stand the British Mi-6.